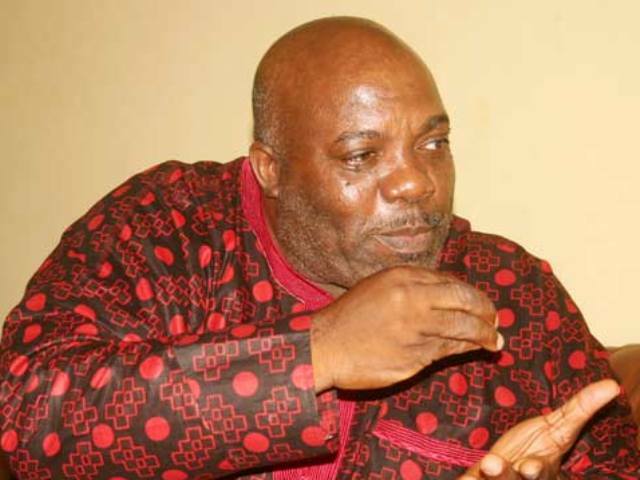 Former aide to the immediate past President Goodluck Jonathan, Dr. Doyin Okupe has given reasons a national leader of the All Progressives Congress, APC, Bola Ahmed Tinubu, “is reduced more or less to a Southwest leader,” of the party. He said Tinubu, even though a staunch Muslim has been reduced to nothing in the APC because of “ethnicity” which he (Okupe) identified as the greatest challenge facing Nigeria. Okupe said this in a post he shared on Facebook where he also maintained that there is no opposition party in the country because of ethnicity, adding that religion, though also a big issue, is not as bad as ethnicity. He said, “I have read many articles and posts including that of my brother Segun adeniyi, wondering out of frustration whether any opposition party exists in Nigeria today. “As a matter of fact I can say it openly and without any equivocation whatsoever or fear of reasonable contradiction that there is no opposition party in the country. “The reason is very obvious and it is the very foundation of our national malaise. “Its simply ETHNICITY. This monster has done more harm to Nigeria as a nation more than anything else. Sometimes we confuse it with Religion. This is a sad fallacy. Ethnicity supercedes religion in terms of the evils holding the Nation down. “MKO Abiola was a Muslim but when the chips were down Ethnicity shot him down both as a party man in NPN and as a President elect in SDP. “Even more recently Asiwaju Tinubu national leader of the APC though a staunch Muslim is more or less reduced to a southwest leader of APC. He will disagree with me for obvious reasons but I know what I am saying is the Truth. “I recently read a piece ascribed to CAN where the latter was quoted as haven said “Baru a northern Muslim insults his boss Kachukwu a southern Christian.” This is pure ignorance. I may not know exactly what is going on in NNPC but certainly it has nothing to do with religion. “Not only the leadership or the elites in Nigeria are deceiving themselves and the populace, the followers or ordinary citizens are equally engulfed in grand self deception and delusion. “The media is worse and that is quite a national disaster. “But I make bold to say this: For as long as absence of TRUTH and INJUSTICE are the pillars on which this country rests, true progress and prosperity will be an illusion.